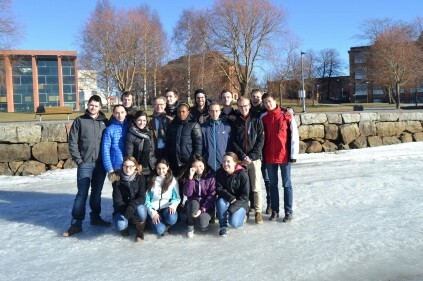 The European Project Semester is a program offered by eighteen European universities in thirteen countries throughout Europe (Finland, The Netherlands, Norway, Poland, Spain, Germany, Belgium, Portugal, France, Romania, Austria, United Kingdom and Scotland). The EPS is offered to third year university/college students. EPS is created with engineering students in mind, but other students are also welcome. Since its start in 1994, EPS has become a huge success. The EPS-program is crafted to address the design requirements of the degree and prepare engineering students with all the necessary skills to face the challenges of today's world economy. Classes are offered to students in a cohort format; that is students participating in EPS meet together as a group each day to build their engineering skills in class and then meet in teams of 2-10 students to work on their dedicated projects. International student teams work on interdisciplinary projects with commercial businesses and industries, selected to match the students' specializations and capabilities as well as to develop their inter-cultural communication and teamwork skills. SPRING SEMESTER 2019: EPS projects will be arranged in the autumn 2019. Application deadline: 1 May. We welcome your application. SPRING SEMESTER 2019: EPS projects are arranged in the spring 2019. Course book for EPS autumn semester. Spring 2014: Drytec and Power Vision. Autumn 2013: Energy Commodity Logistics for Greenhouses. Spring 2013: Helsingby and Mare Purum. Autumn 2012: Greenhouse 2012 and EnergyVillage2012. "I think EPS is a great concept, you learn a lot about working in a project group and other people’s way of working, and of course about the project itself. I can definitely recommend EPS for other students!" Read the whole interview with Corinne here.